THE last hours of a man found dying on a Camden Town pavement have perplexed detectives despite the arrest of a 21-year-old man in connection with the death. 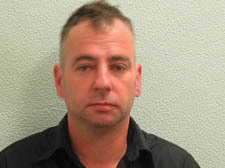 Carpenter Kevin Jessup, 44, was found unconscious near the Lock Tavern, in Chalk Farm Road, at 6.45am on Friday December 21. The father-of-three, from Sydenham, in south London, was taken to the Royal Free Hospital in Hampstead but died of head injuries the next day. A 21-year-old man from Camden Town was arrested on suspicion of murder last Thursday and was released on bail. Mr Jessup had told his partner he was going to a Finsbury Park pub and was last seen at the Twelve Pins in Finsbury Park Road at about 8pm the night before he was found. His movements over the 10 hours before his body was found remain a mystery. Police are trawling through CCTV footage and appealing for witnesses who may have seen him in that period. The murder squad officer investigating the case, Det Insp Steve Smith, said: “At this time we have been unable to ascertain where Kevin spent the night on Thursday and what caused Kevin’s head injury. Mr Jessup briefly regained consciousness in hospital before his death, which a post-mortem examination established as having been caused by a fractured skull. Detectives are understood to be considering whether the injury was the result of an accident. An inquest opened on Christmas Eve at St Pancras Coroner’s Court and was adjourned, pending the investigation. Anyone with information is urged to contact police on 020 8247 7821 or, to remain anonymous, Crime stoppers on 0800 555 111.